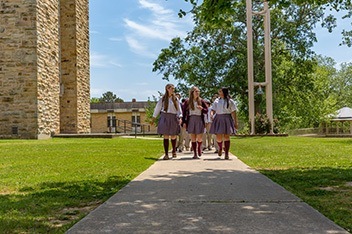 The goal of the Guidance Office is to assist in the education and formation of the whole student by providing large group, small group and individual guidance. Our Guidance Office assists the students in selecting an institution of higher education that matches their academic strengths and interests. The students are encouraged to assume responsibility for the college admission process and scholarship procurement by setting goals and using the resources available to them. Open communication between the student, parent and counselor is essential during this educational process. For questions or concerns please email Mary Mayo or call (256) 739-6682.